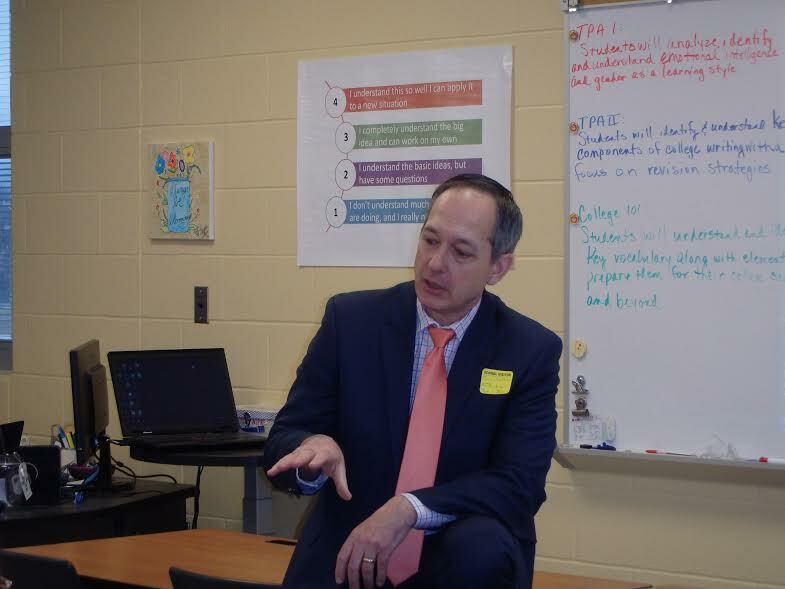 Craig Cheatham from Channel's 9 iTeam visited Taylor High School to talk to seniors in the Teaching Professions class about East St. Louis schools. Mr. Cheatham worked in St. Louis and did several documentaries about the corruption in the schools and the impact on the education students received. His presentation in Mrs. Flickinger's class was a follow-up to their assignment of reading Savage Inequalities, a book by Jonathan Kozol, studying the state of education throughout the country in the 1990's.